Starting with strips and geometric shapes, you’ll cut and sew without patterns, required yardage, or complicated diagrams. 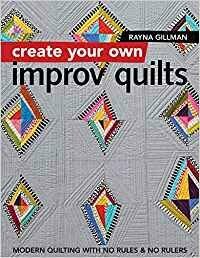 This freeing method lets you create modern quilts organically as you follow your instincts, ask "what if…? ", and experiment with scale, color, value, and placement.